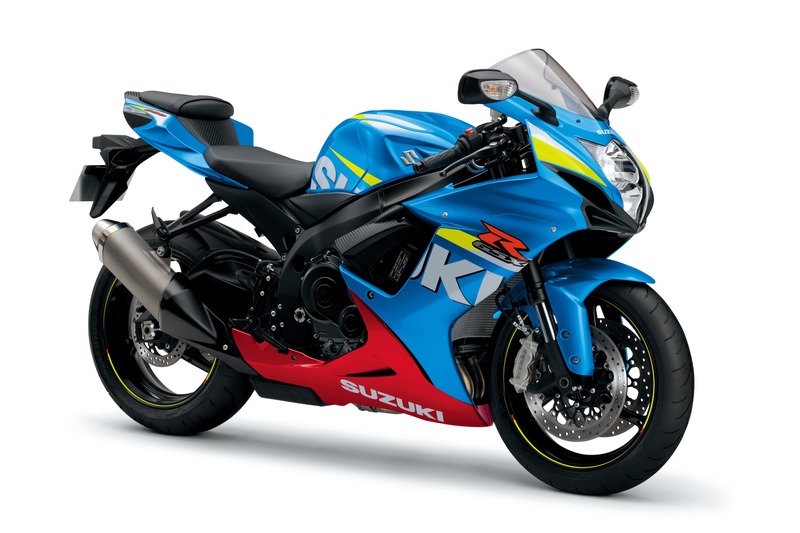 Suzuki’s 2016 GSX-R600 is now available in dealerships. The GSX-R600 has a reputation for its impressive performance and handling, both on the track and the road. It earned more track credibility last year by taking both first and second places in the 2015 ASBK Australian Supersport Championship. And it’s also one of the easiest of the 600cc supersports bikes to live with in the real world. For 2016 there’s nothing different in terms of technical specifications, but with the current GSX-R600 it’s really a case of “if it ain’t broke, don’t fix it”. The 2016 GSX-R600 is powered by the same compact 599cc, four cylinder, liquid cooled engine that uses technology developed in MotoGP. The engine generates 93kW and 69Nm. The Suzuki Drive Mode Selector system gives the rider a choice of two selectable engine performance mappings. The two available maps were also developed using racing experience, and switching from one map to the other is instantaneous. A race-proven slipper clutch improves rear tyre grip and stability under hard deceleration by reducing the pressure through the clutch. The engine sits in a compact and lightweight twin-spar aluminum cradle frame. The front suspension uses fully adjustable 41mm Showa Big Piston Forks and the rear shock is a single Showa unit with externally adjustable rebound and compression damping, and adjustable ride height. An electronically controlled steering damper monitors the bike’s speed and adjusts itself for lighter steering at slower speeds, and delivers more damping force at racetrack and highway speeds. There are dual radial-mounted, four-piston Brembo monoblock calipers with 310mm dual floating disc brakes on the front, and a single piston rear brake caliper and 220mm disc on the rear. The obvious differences between the 2016 model and the previous year is the colours. The new model is available in two new colour schemes – Metallic Triton Blue with Red, and Pearl Red with Matte Black. The red belly pan is the definite clue to the 2016 model. The 2016 GSX-R600 is available now for a recommended retail ride away price of $16,490 and is backed by Suzuki’s two-year, unlimited kilometre warranty.